Do you have a horse shaped hole in your heart? And whatever you design HAS to make you feel that Sonny's still with you, supporting you, comforting you...because you still expect to hear his whinny when you walk in the barn at feeding time. You still expect him to stretch his long, pretty head with that silly crooked star over the stall door to nuzzle the pockets of your old worn out barn jacket sniffing for his favorite peppermints. The ones you can only get from Kincaid's, your favorite burger place. You miss him so much it hurts. Hang in there, you are in the right place. Hello! I am Angela and I am here to help. I'm here to help ease the ache in your heart with the perfect piece of horse hair bracelet or jewelry or art for you and your horse (or horses!). I'm here to help you create an extraordinary one-of-a-kind gift for yourself or someone you love. Because one style does not fit all. Because something SO important should last a lifetime. Because uniqueness doesn't always come from just one mind. These are the founding principles of my artistry, and the reason Spirithorse Designs exits. I promise to choose the strongest, best & varied colors of your horse's hair to create your one-of-a-kind horse hair jewelry and art. I promise to use only high quality sterling silver, fine silver and lead free pewter available. I promise to treat each and every horse with the utmost respect. I promise to listen to all suggestions, comments and concerns you may have in the creation of your horse hair jewelry. I promise you will be 100% in love with your horse hair jewelry and art. 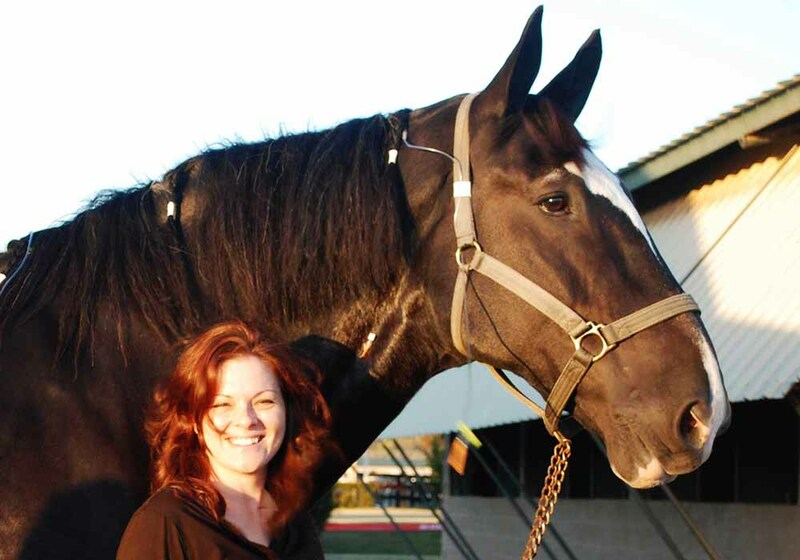 Years ago, I worked for an equine surgical center and THE toughest part of my job as an office manager, was helping horse owners go through the process of letting go, and saying goodbye. It doesn't matter if you know it's coming or it was a tragic surprise...it's excruciating to go through - for you for your friends, for all of us helping. My clients would ask if I knew of any place that made horse hair jewelry, and at the time there were only a couple. The couple of places locally, that I knew would create something like that would create pieces that were more for keepsake purposes, not every day wear. Well that wouldn't do! I know that I would want something that I could have with me every single day. Grief sneaks up on you when you least expect it. Why couldn't I have something to provide immediate comfort when I needed it? So I began to research, and learn and practice and study. I love all things Celtic in nature, especially Celtic knot work. 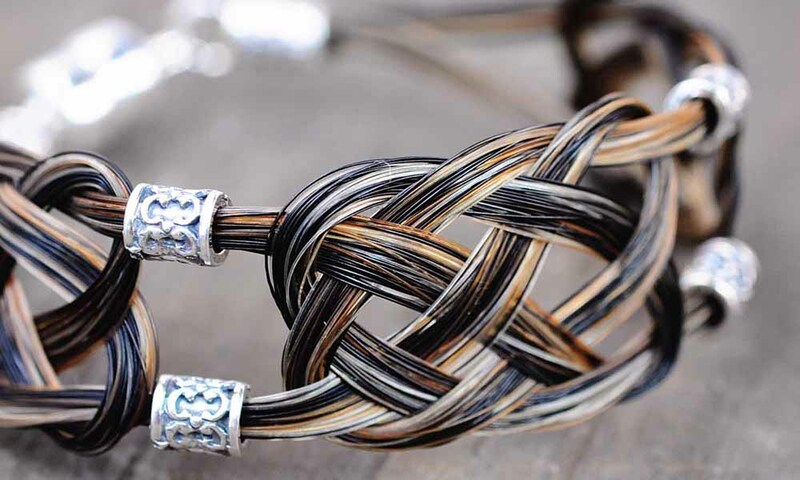 It became the foundation of my horse hair jewelry designs because it symbolizes the infinite love and connection we feel for out horses. So it should come as no surprise that the very first bracelet I ever created was the Bella, a rectangular Celtic knot style. After all these years, it is still one of my best sellers. 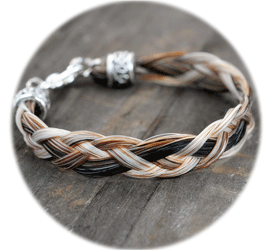 Don't wait until you have to say goodbye to have a special horse hair bracelet or jewelry created. Don't wait until it's too late and you are on the floor, sobbing in heart felt pain. Don't wait until your barn bestie is beside themselves in a grief so deep they don't even hear you comforting them. Create a wonderful and special moment of giving and love right now - so you can see and feel the joy a custom horse hair bracelet brings! Because they will ALWAYS be our babies. "I wish all my shopping was this simple. From picking out the bracelet, hardware, sending in the horse hair, shipping and receiving of my package - thing's couldn't of been easier. Angela is a professional. Kept me posted on how my bracelet was coming along and got it out way before the deadline. It's beautiful and will make my daughter very happy. I will be a repeat customer. Thank you!!"